I found this really great article on feminist, Gloria Steinmen (Glorious), that completely changed the way I see her. 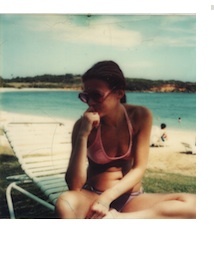 The article is about a woman who met her briefly, who was surprised to see her in a bikini in 1971. The thing is, it's not about the bikini at all. "I'm always dieting, I worry about looking good, I hate my jawline. That's why I have this hair style: to hide my jaw. We women are so nuts about beauty, and I'm one of the worst, " she says. Everyone, even Gloria has body issues and deals with the troubles that come with conforming to feminine ideals every single day. Feminism is not about not being stereotypically feminine, it's about being treated equal to men in all facets of life. Body modification gone too far? What's wrong with our bodies anyway? A social researcher and journalist advocating for all forms of tolerance and equality. genderbender 2011. Simple theme. Powered by Blogger.